Fireflies and Jellybeans: My Favorite Things - Andy From Poppies at Play! Here we are at Day 3 of My Favorite things week! A week of my FAVORITE bloggers, blogging about their favorite things! Today you get to meet Andy from Poppies at Play! Andy's blog is one of the first blogs that I started to follow and it was the first blog link up party that I joined in on. She is super sweet and she inspires me (and everyone) to be creative! Check her out! She is AWESOME! My family calls me Raggedy Andy because I am always SO put together. Tee hee hee. I can't even tell you how excited I am to be a guest blogger today on F&J!! I'm super duper flattered and honored!!! Today I get to share with you a few of my favorite things! And my all time favorite is Joe and the kidlets!! I started blogging because I have a great desire to learn to be creative. 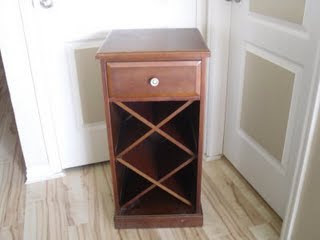 I love hunting for unique pieces. I love staring at them trying to decide what they should become. I love watching them transform. 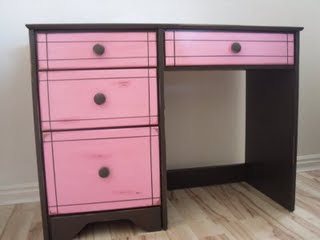 This pink and brown desk was a blast! 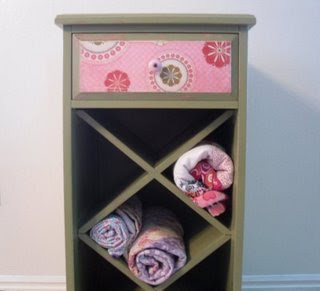 Paint, paper and new hardware transformed this wine cabinet into an accessory piece of a little girls room. 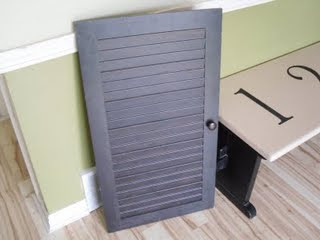 I saved the doors from our old entertainment center when we sent the rest of it to furniture heaven. 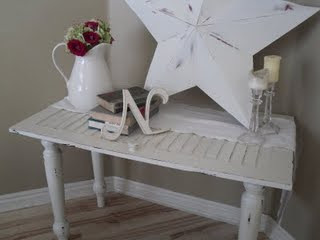 I salvaged some dining table legs to turn it into a shabby chic accent table. It's been really fun to look over all of this last year's projects! Thanks again Fawnda!! and say "hello" or pop over on Fridays for our Creative Cats parties!! Have a wonderful Christmas and an exceptionally creative New Year!!! LOOOOVE HER! I'm pretty darn sure she's tha one that inspired me to start a blog! Great projects ANDY! 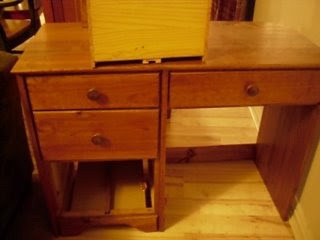 Especially that Chic Table from door! Mmm!